Semi-evergreen perennial grass. Suitable for semi-aquatic plantings; do not let soil dry out. 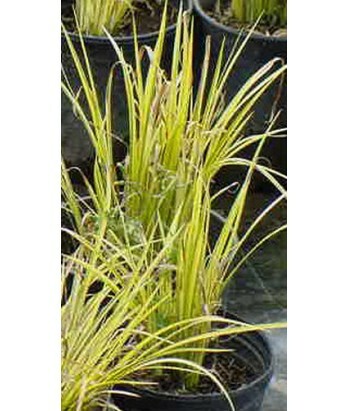 Grass-like leaf blades are variegated light green and sweetly fragrant. Tiny yellow-green flowers bloom in small spikes from spring to early summer. Spreads slowly by rhizomes. Ample water needs once established. Hardy to 0°F.